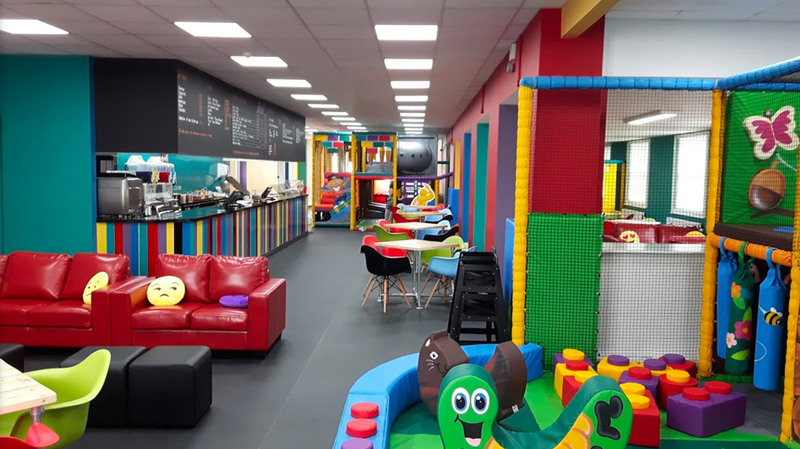 The Square in Wells is a new venture; a soft play area that is not only a great place for children to come and enjoy themselves, but is also a good experience for their parents, who are basically sitting and waiting for much of the time. It’s great to have the opportunity to work with a new local business doing something vibrant in the area. The owner Steve has known us for some years as we were previously in the same line of business, so he approached us first as he wanted the security of working with someone he knew. Not just that, but Steve is also somebody who likes to engage with other local businesses to increase and ensure mutual and future networking. WHAT WAS THE CLIENT AFTER? The specifications for this job were tightly defined in some respects and yet quite loose in others. There were some points that had to be incorporated for health and safety reasons. For this it was essential that the furniture was guaranteed to be virtually indestructible as it would have extreme and heavy use. However, it had to incorporate no sharp edges to avoid accidents for little heads. 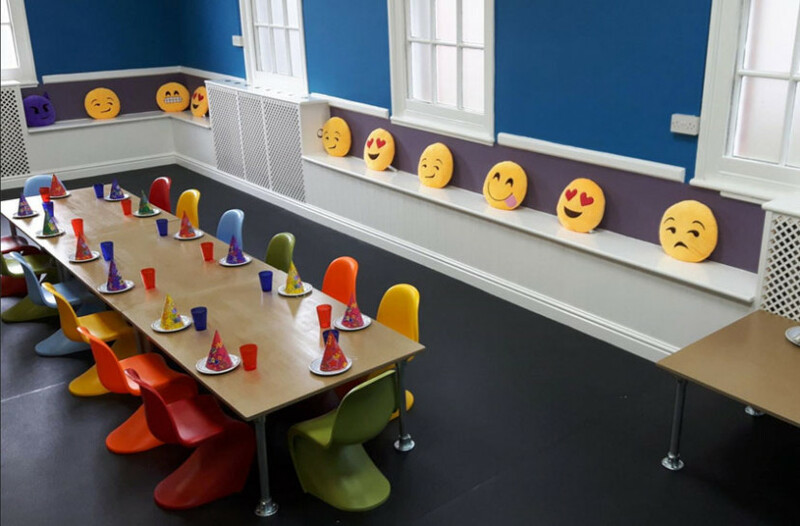 Steve had a vision of something different and edgy; to set The Square apart from other soft play centres and to appeal to parents as much as their kids. We were able to work closely with him to match our products to his ideas to allow them to be brought to life and tie up those loose ideas. 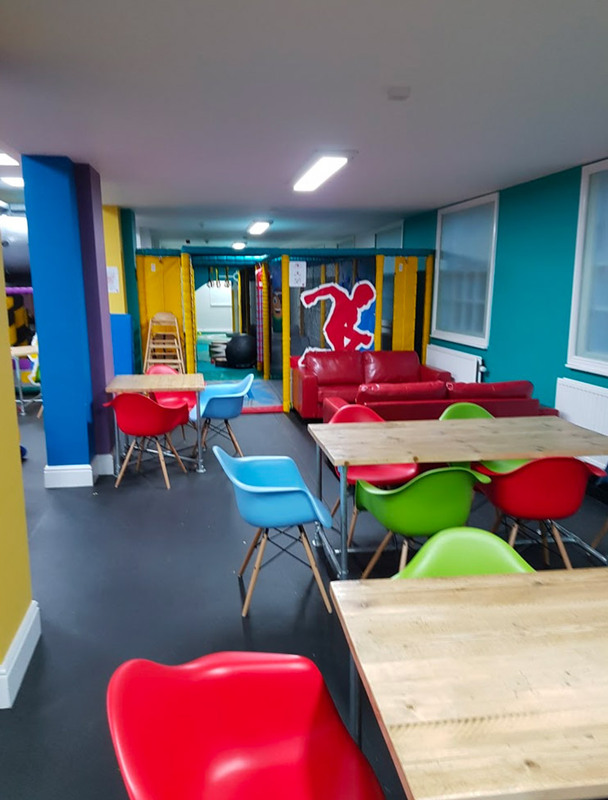 By showcasing a range of interesting funky modern furniture and discussing with Steve what the end goal was, we helped him come to a decision. Together we discussed various options and the end result was something we were very excited about. 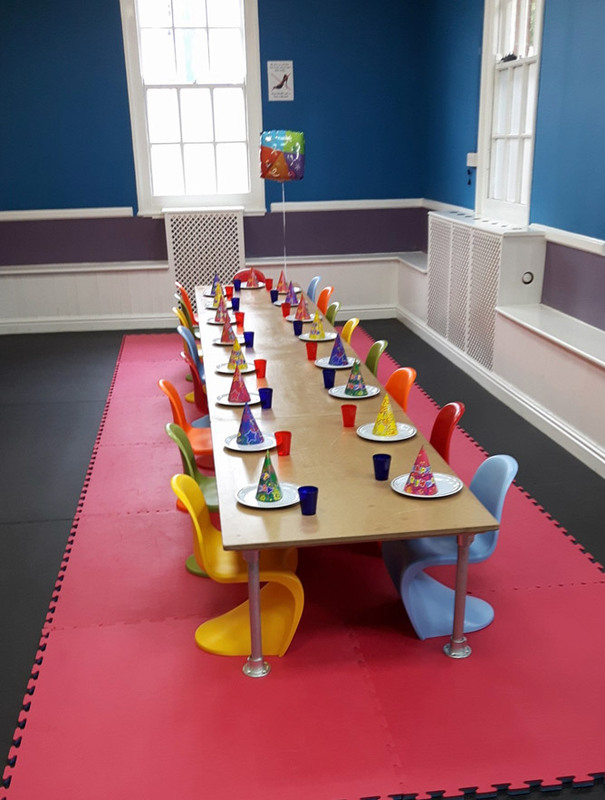 We were able to offer The Square the complete package of what they needed: tables made to their exact specification and a range of design-classic reproduction chairs for adults and children at an excellent price. 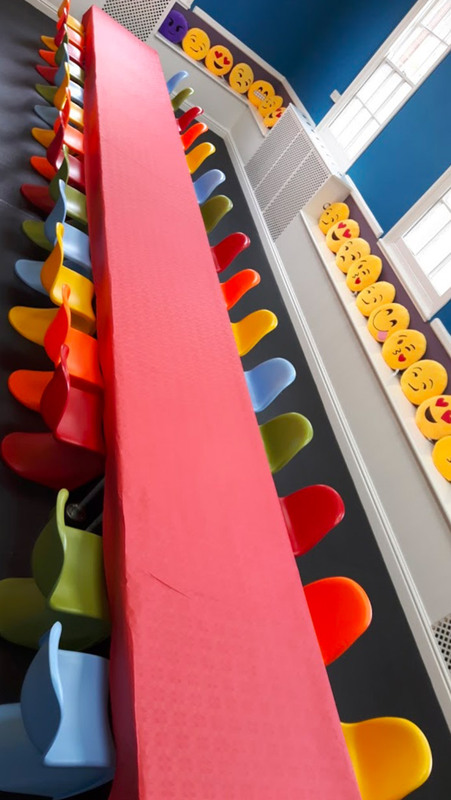 The final requirement – that everything had to be to be brightly coloured – was necessary for bringing the right atmosphere and there were several ways we incorporated this including sourcing funky chairs designed by Eames and Verner Panton to reflect the playful nature of the environment. 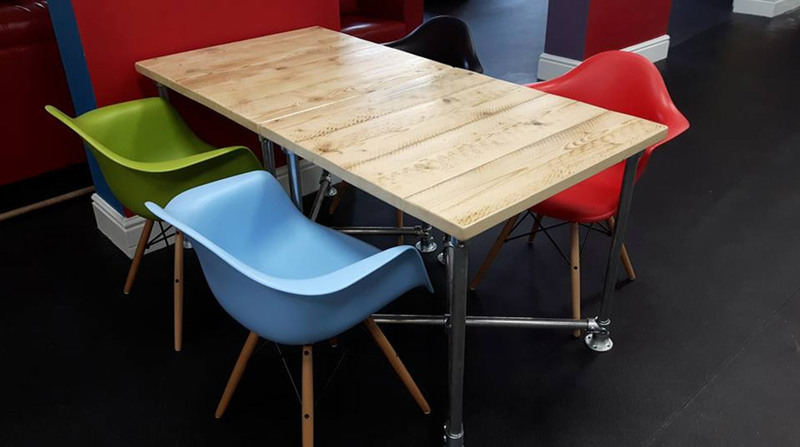 One of the keys to our company is making bespoke items of furniture and then pairing them with contemporary classics to bring out the best in them. We delivered and assembled everything to The Square site and even cleared away the rubbish. That complete package of delivering from start to finish makes our business a step ahead of others; making sure our customers are completely happy is so important to us. A big challenge in delivering the project for The Square successfully was the sheer volume of chairs that needed assembling in the venue. It was a tight turnaround, but we delivered on our promise. It was essential to us that our clients experienced a successful start to their business venture. We don’t feel like a simple supplier, we approach our work as a partner in the business and understand how important deadlines are. The weekend before the opening was spent making, sanding and sealing additional coffee tables to ensure The Square had everything it needed. Our bespoke furniture is all handmade to an extremely high level of craftsmanship. This is time consuming and leads to a great deal of hard work but it’s what makes our products unique and ensures that our clients are satisfied. A real highlight of this job was getting to be part of a brand new local business venture. It was fantastic to see the job completed and ready for the launch event. 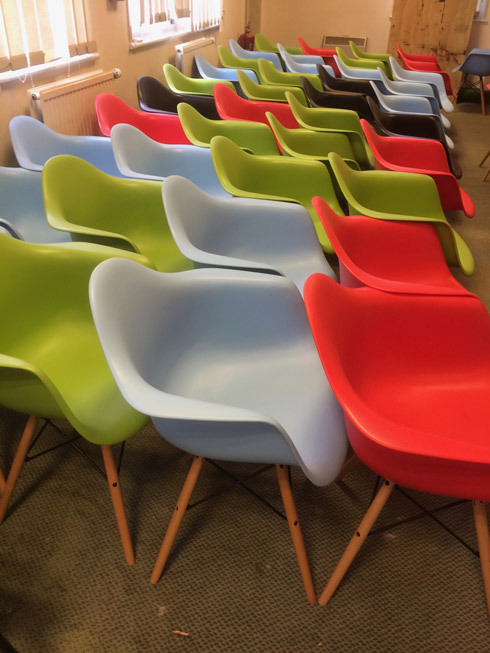 There were a great many Eames chairs in a rainbow of colours and to see them all was quite spectacular and a real sight to behold. They looked absolutely stunning together. I’m delighted to say that Steve was very happy with the results and that the furniture is living up to its promises. Steve has even ordered an additional three tables but not for The Square, for his house! IF YOU HAVE A BUSINESS VENTURE ON THE HORIZON FEEL FREE TO GET IN TOUCH TO HAVE A CHAT ABOUT YOUR REQUIREMENTS.